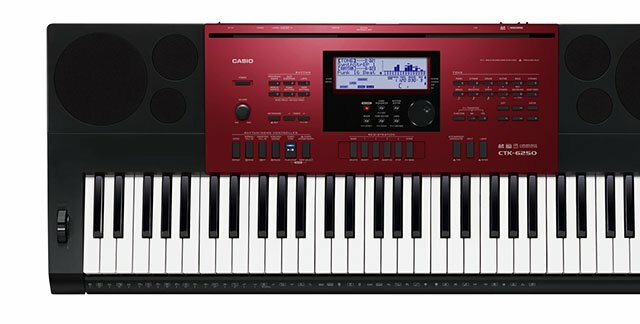 Casio continues the tradition or providing “class compliant” USB connectivity on Portable digital pianos. This allows Casio Portable digital pianos to be used with Mac or Windows computers without the need for downloading drivers. Class Compliant USB MIDI also allows Portable digital pianos to be used as a controller for the Apple iPad by using Apple’s Camera Connection Kit. The CTK-6250 can store 4 sets & 8 banks for a total of 32 set ups. The simplicity of the registration process makes it a great feature for live performances.